New York based sales and direct marketing firm, Pan Atlantic advocate the importance of being able to sell yourself. The ambitious firm proudly hosted a 4 hour seminar yesterday at their downtown offices highlighting 5 tips on how to build a personal brand reputation. Sales and direct marketing firm, Pan Atlantic are experts in the art of selling their clients’ products and dealing with people. The New York-based firm are passionate about exposing potential new customers to products and services in a way that will resonate with them; Pan Atlantic say that there is no substitute for face-to-face interactions, so hosting this ½ day seminar for 50 budding entrepreneurs on how to sell yourself was important to he firm. Selling yourself is something that everyone needs to learn. Day-to-day lives are filled with situations where people are seeking to persuade someone or win them over. Selling means to communicate the value of something so by selling yourself, a person is communicating their value and this is an ability that everyone can benefit from. It doesn’t matter how skilful or talented someone is at something if that person does not know how to sell themselves to others. In an online article on businessinsider.com (How to sell yourself in 30 seconds and leave people wanting more, published on 26th December 2015), eight steps to crafting the perfect elevator pitch was outlined. Pan Atlantic has used this article as a source of information at the free New York event to offer 5 tips on building a personal reputation. Know exactly what you want to achieve – Pan Atlantic upholds that a person must know exactly what they want to achieve or no one will be able to help them get there. Tell a story – Pan Atlantic highlight that people love to hear stories and they help to make people remember others later on. Eliminate jargon – Pan Atlantic offer the advice that people should avoid acronyms or terminology that wouldn’t be understood by someone outside of the industry. Make sure you invite conversation – Pan Atlantic have experienced that a listener needs to be left wanting more in order for a pitch to be compelling and invite conversation. Pitch to friends and mentors – Pan Atlantic express the importance of pitch practicing; feedback can then be used to improve. 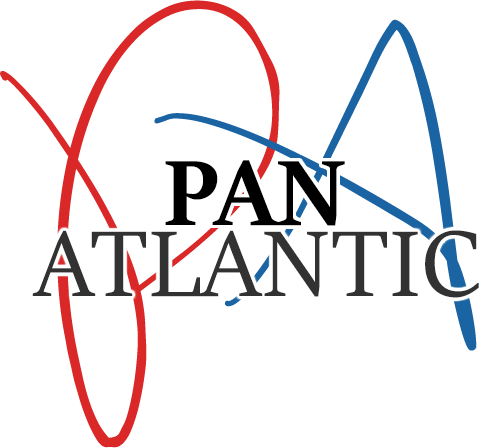 Pan Atlantic is an energetic and ambitious outsourced sales and marketing solution. The firm pride themselves on their professionalism and expert ability to deal with customers on an individual, face-to-face level. The firm stresses the importance of being able to sell yourself when interacting with customers; this means they can buy into both the individual and the brand.